Steven McDonald of Pappas Bros. Steakhouse. Photo courtesy of Pappas Bros. The Master Sommelier exam, administered by the Court of Master Sommeliers organization, is famously one of the most grueling tests in the world. There are even movies about the rigors candidates go through in trying to pass the test. In fact, sommeliers aren’t even allowed to take the exams until they’ve passed three others: the Introductory, Certified and Advanced tests. The exam is comprised of both a theory and a blind tasting portion and very few sommeliers who attempt it pass — and it’s not free, either. The cost is $995 not including travel expenses. So, it was a shock to many when, on October 9, the Court of Master Sommeliers announced that a proctor had enabled some test-takers to cheat by passing them detailed exam information. Worse, to eliminate any possibility of unfair results due to cheating, the organization stripped all 23 newly minted Master Sommeliers of their hard-won titles. Although 19 of those sommeliers pushed back on that decision, ultimately they were all required to re-take the intensely difficult exam one more time and hope to “catch lightning in a bottle” twice. One of those sommeliers is Steven McDonald of Pappas Bros. Steakhouse in Houston. The Court of Master Sommeliers did at least waive the fee for the second testing. It wasn’t the expense, though, that weighed heaviest on McDonald’s mind. “That’s not the part that bothers me so much as gathering the energy to do it on that level again,” he said after the Court of Master Sommeliers’ decision. Fortunately, McDonald was among those who passed the test — again — in Saint Louis. 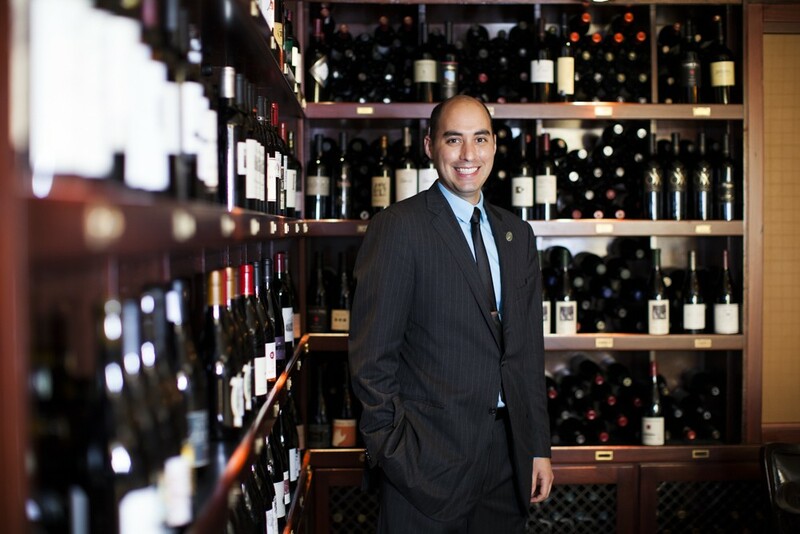 That makes McDonald one of five Master Sommeliers currently living in the Greater Houston area. The others are Guy Stout, director of wine education Southern Glazer’s Wine & Spirits, David Keck of Goodnight Hospitality Group, Jack Mason, also with Pappas Bros. Steakhouse and Keith Goldston of Landry’s. That leaves some questions, though. If someone passes one of the toughest exams in the world twice, do they get extra credit? A special addendum on his or her title like Master Sommelier X2? Two pins? Probably not — but it’s safe to say that McDonald at least earned some respect from his peers in the wine community today. 12/6/18, 4:56 p.m.: Updated to include Master Sommelier Jack Mason who also lives in the Houston area. 12/7/18, 9:31 a.m.: Yet one more was brought to our attention: Master Sommelier Keith Goldston works for Landry’s in Houston. We also added comments sent to us by McDonald.